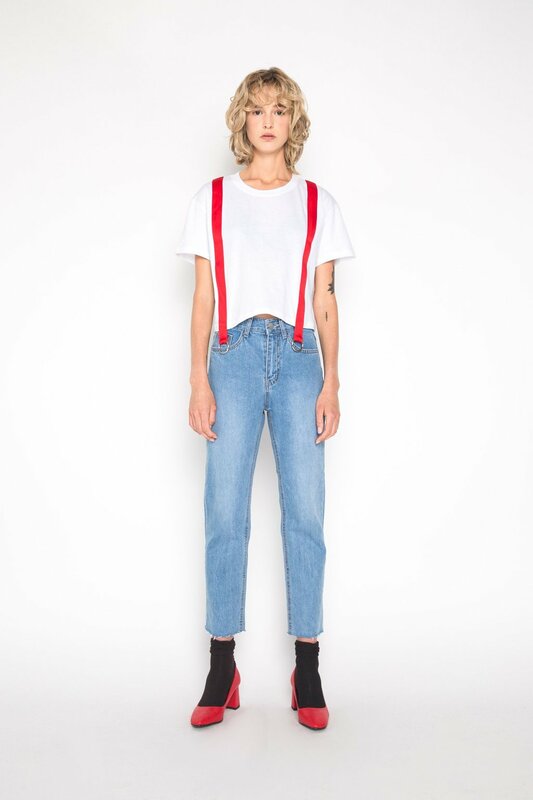 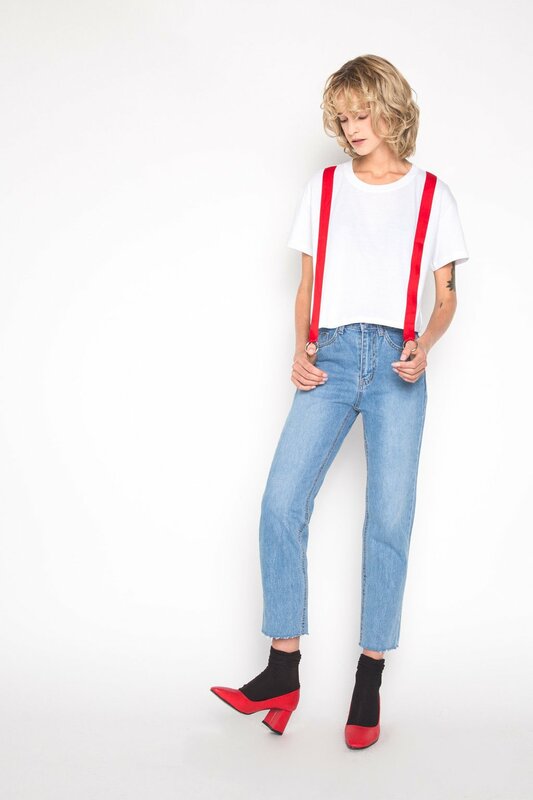 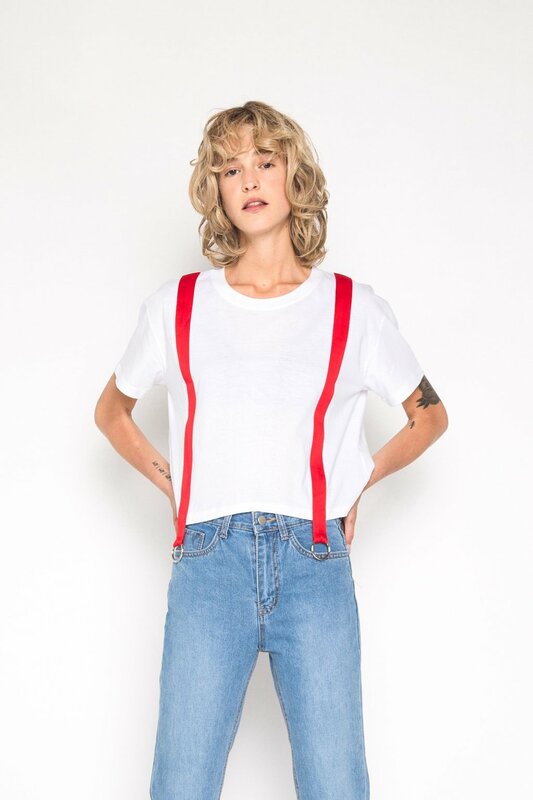 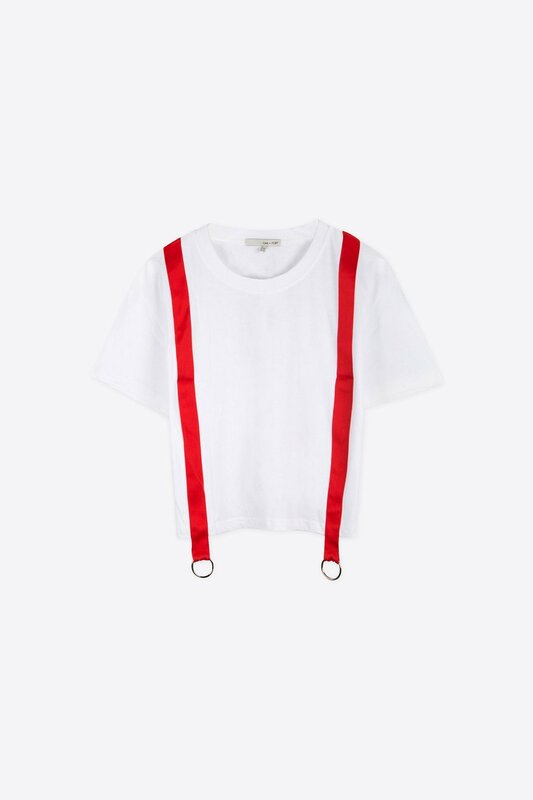 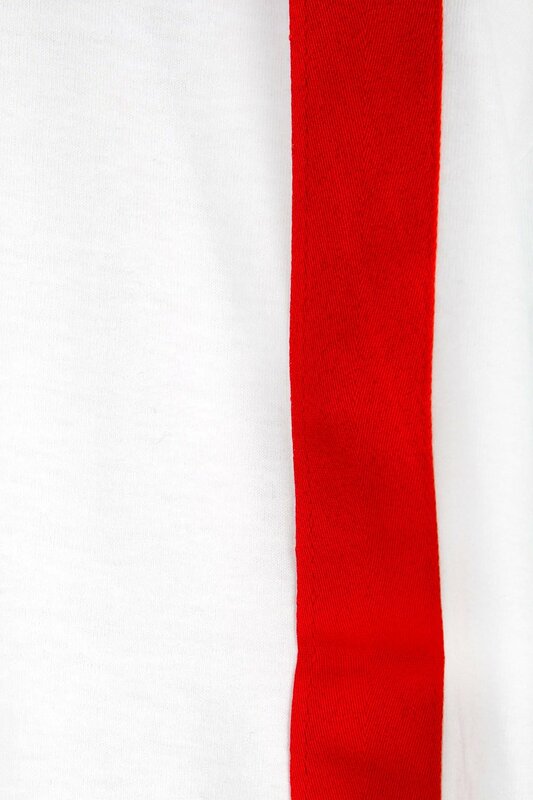 This t-shirt is your classic subtly cropped tee with red suspender-inspired accents at the front for a minimal yet fun touch. 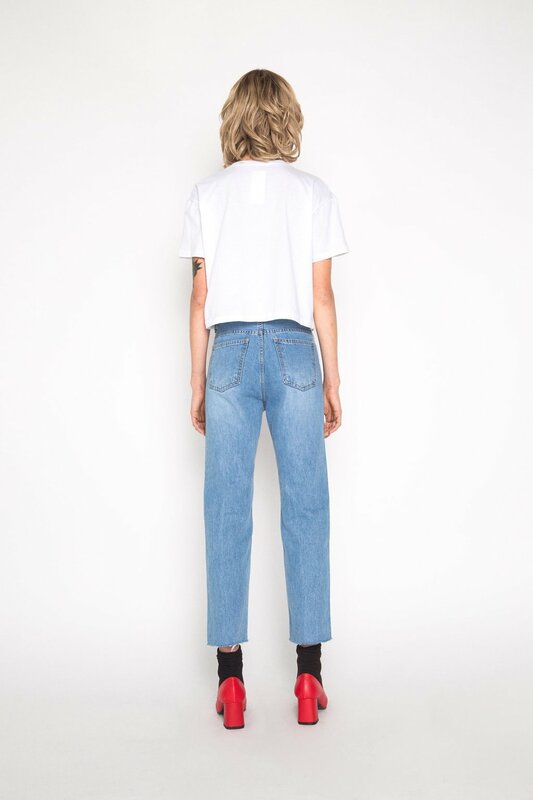 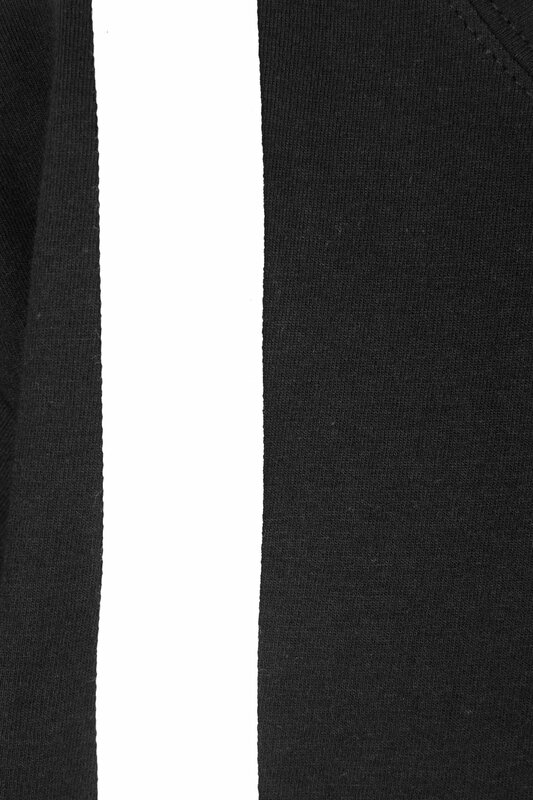 The accents come down past the tee's length and feature silver rings for a cool and edgy touch. 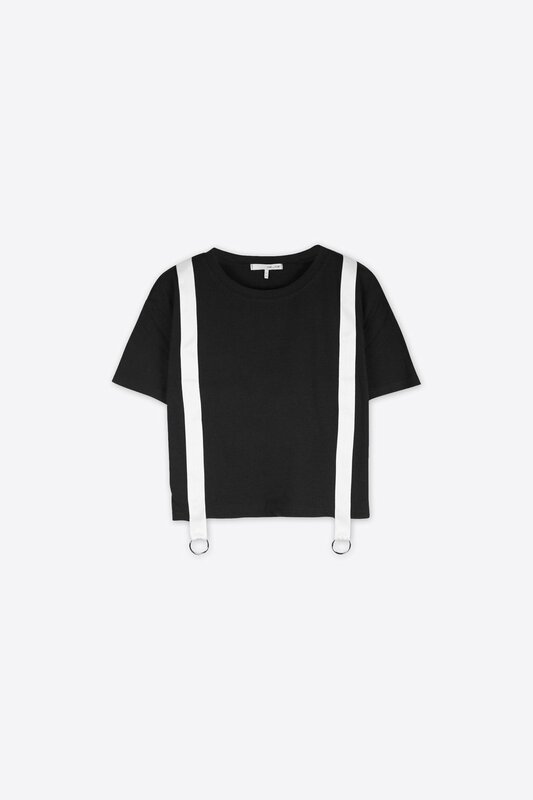 Pair with black culottes and sneakers for a chic look with industrial vibes.